Do you love nature and dream of constantly exploring mountains, forests and more? 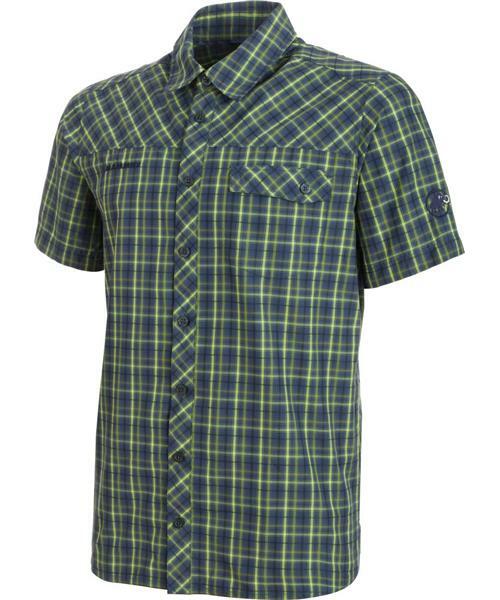 With the Asko Shirt Men, you will find an attractive companion offering convincing benefits thanks to a special fabric. An antimicrobial treatment with FreshTech effectively reduces unpleasant odors, allowing you to tackle steep approaches in relaxed style. Thanks to its light weight and minimal packing volume, you can simply take the shirt off and stow it away if you start to feel too warm. The regular check pattern contributes to its fashionable look, while the chest pocket with a button is a practical add-on feature. This shirt adapts to conditions while hiking.